Retro sounds, retro visuals and retro puzzles are all on the menu with Mighty Switch Force: Hose it Down, an offshoot of the main Mighty Switch Force series. Since the old school Pipe Dream on my Windows 95 OS, I have always had an affinity for these kinds of puzzle games; they are simple enough to pick up and play, and yet new elements keep a healthy difficulty curve going for days. 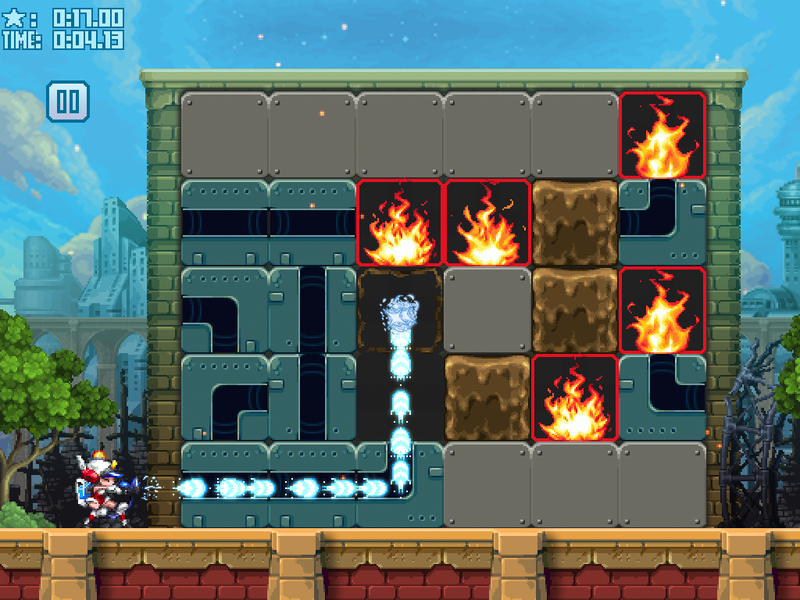 Mighty Switch Force: Hose it Down plays out its difficulty well, as it gives the player a drop-dead simple introductory run, and slowly adds new block elements (destructible mud, rotatable stationary blocks and people to rescue) to ramp up the challenge. The premise is simple: you are a firefighter who must map out the route of water by manipulating the block environments within the burning buildings in order to put out the fire and save any civilians. There are rewarding graphics (shown below) but don’t expect a great and enthralling plot replete with intrigue and drama; this is a pipe puzzle game, after all. 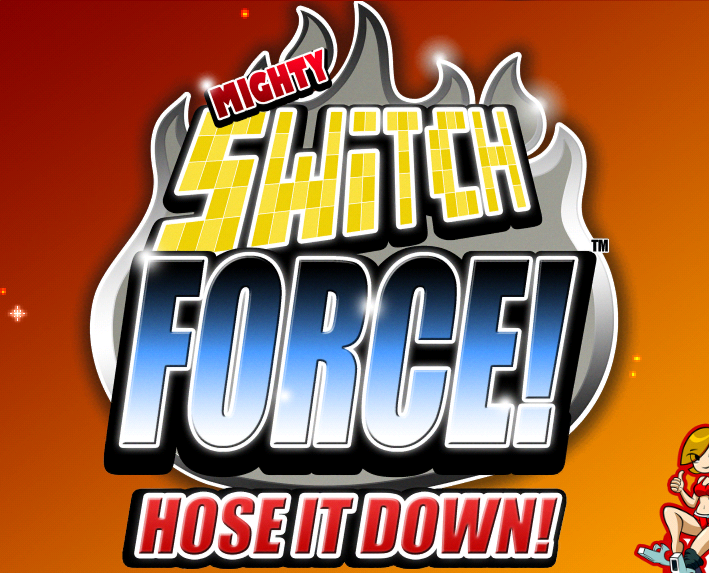 High energy, simple yet rewarding gameplay and decent music all make Mighty Switch Force: Hose it Down a solid recommend for a casual gaming experience.